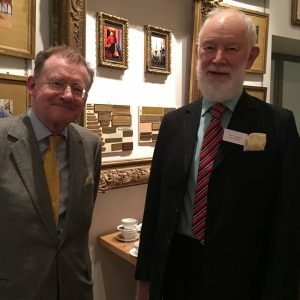 Paul Tear MBE, furniture conservator and previous head of conservation at The Wallace Collection has been appointed Chairman of the Zibby Garnett Travel Fellowship. He succeeds Martin Williams, who will continue as a trustee of the conservation charity. Paul began his career as an apprentice in cabinet-making and furniture restoration and in 1976 he entered the museum sector by joining the Museum of London. 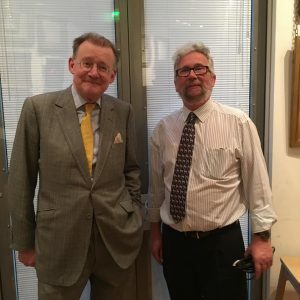 He moved to The Wallace Collection in 1979 as a conservation officer, specialising in French furniture, later heading up the conservation team there. Paul was also the course leader for the BA (and then MA) Furniture, Conservation, Restoration and Decorative Arts at Bucks New University from 2004-2016. Today, Paul runs his own practice Paul Tear Conservation. He has recently completed an MPhil and was awarded the MBE in 2001 for services to conservation. On his appointment Paul Tear said, “Having spent over thirty years in conservation, I am pleased to have the opportunity to continue to support our craftsmen and craftswomen in developing their careers, by supporting them in undertaking an internship abroad. A vote of thanks must go to Martin for all the hard work he has undertaken during his tenure as chairman, he has work tirelessly in a number of different areas to promote the Fellowship and fortunately, he is not leaving us completely, as he has agreed to continue as a Trustee”. Martin Williams said, “The ZGTF is a small charity and it has been an honour for the last five years to head-up a team which has consistently punched above its weight to enable nearly 150 young people to broaden their knowledge and their skill sets by travelling abroad to study conservation techniques”.